Corey Chamblin has been given the task of getting the Saskatchewan Roughriders back to the upper echelon of the CFL. The 34-year-old Alabama native became the 29th head coach in the history of the Saskatchewan Roughriders Thursday afternoon. He takes over a team that unexpectedly finished last in the West with a record of 5-13 after appearing in the previous two Grey Cups. 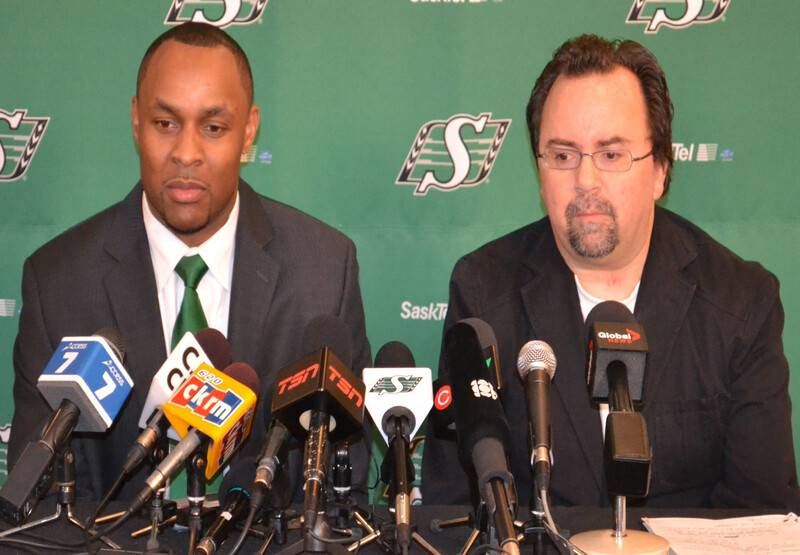 Chamblin comes to the Riders after serving in 2011 as the defensive co-ordinator in Hamilton. Before that, he spent time with Calgary and Winnipeg. General Manager Brendan Taman says Chamblin had many positive attributes on his resume, but the one main one was that he was in places where winning football was prevalent. Chamblin is more than willing to take on the task of getting this football team back to the playoffs and once again making them a contender for the Grey Cup. He let it be known what he wants during his tenure in Riderville. When asked who he patterns himself after, Chamblin mentioned several people –one of them being current Calgary Stampeders coach and general manager John Hufnagel. Another person is current Pittsburgh Steelers coach Mike Tomlin. The two were together in Tampa Bay when Tomlin was a secondary coach for the NFL’s Buccaneers and Chamblin was a player. While Chamblin did not make the Bucs roster, he was left with an impression by Tomlin. “Mike wasn’t even 30 years old and it was amazing to see how smart and detailed he was,” Chamblin was. “I have patterned myself after him when it comes to what qualities are needed to become a winning head coach and I hope you see that this year. While Chamblin glows when talking about Tomlin, it is obvious Tomlin has a great regard for Chamblin as well. The Steelers coach phoned Taman last year when Chamblin was up for the job to give him a glowing reference and he made it known how happy he was for Chamblin when learning he had gotten the job in Regina. Chamblin would not identify who he is looking at to round out his coaching staff, but he would say one thing when asked about what his team will be like when it takes the field to begin the 2011 season.